A groundbreaking and undeservedly neglected volume, "Night-Pieces" contains a wide variety of weird and outre tales, ranging from stories of crime and murder to tales of ghosts, zombies, and the supernatural. 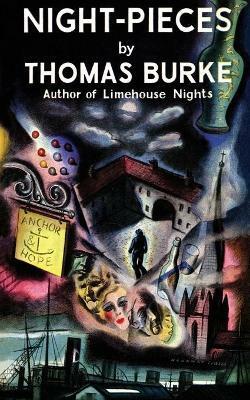 This is the first unabridged reprint of Burke's collection since its original appearance and reproduces the jacket art of the first British edition. "An artist for whom I have always entertained a great admiration ... This is a volume of really good short stories." - Gerald Gould, "Observer"
"A master of the psychology of fear, of the torments of the crime-burdened conscience ... 'The Lonely Inn' is close to a masterpiece." - "The American Mercury"
"His talent is as great as ever ... in even the eeriest of them there is more fascination than horror ... excellent." - "Guardian""